The Science of Dieting - Eat Healthy and Lose Weight! Let me preface this article by saying that I am not a scientist. I have a science degree in Dietetics, but am a far cry from a scientist. I just love to dabble enough to be dangerous! I wanted to try to explain to you some of the exciting science that I have been reading about recently. I will try to do it justice! Leptin is a hormone produced by your fat cells that signals your Central Nervous System (CNS) that you are full! We love Leptin!!!!! Ghrelin is a hormone produced by your stomach that tells your CNS that you are hungry and signals you to eat. We hate Ghrelin!!!! Leptin Resistance - This is where somehow your body makes enough Leptin to say that you are full, but your leptin receptors in your CNS are not working right, maybe sort of like Insulin Resistance. This is not good! Leptin Sensitivity - This is when your leptin receptors are working correctly! Increased fat diets might lead to leptin resistance. This is not what you want!!! 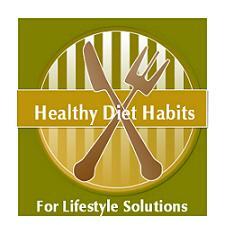 Decreased fat diets might decrease fat in your fat cells, but not increase your hunger. Your body will be more sensitive to leptin, and send satiety signals to your brain that you are satisfied and do not need food. This is what you want! I looked at two studies that were both done the same way. Both of the studies attempted to record leptin levels and leptin sensitivity of low fat diets. One study used 15% fat, 65% Carbohydrates, and 20% Protein. A second study used 20% fat, 50% Carbohydrates, and 30% Protein. Both were low fat, but one substituted the lowered fat with extra carbohydrate, and the other substituted the lowered fat with extra protein. In both trials the people were given regular fat diets for the first 2 weeks, reduced fat controlled diets the 2nd two weeks, and then the final 12 weeks they ate the reduced fat diet, but in the quantities that they chose in relation to their hunger! None of the meals were low calorie, just low fat and healthy. Let’s take a look at the findings! Trial 1 Low fat diet with fat replaced by carbohydrate, but not reduced calorie! Eating a low fat, high carbohydrate diet led to significant reduction in food intake, and weight loss without an increase in leptin. Leptin decreased, but there was no increase in food intake, showing that there was an increase in leptin sensitivity in the CNS! People decreased their eating because they were uncomfortably full on the low fat/higher carbohydrate diet, even though they did not restrict their calories. There was no increase in Ghrelin, the hunger hormone! Learned lesson: Reduced Dietary fat with added carbohydrate that does not limit calories enhances leptin sensitivity in the CNS and promotes weight loss without dieting. Trial 2 Low fat diet with fat replaced by protein, but not reduced calories! Eating a low fat, higher protein diet also led to great satiety from the increased protein. People ate less on the last 12 weeks when they were asked to eat to their hunger. The diet also increased the CNS sensitivity to leptin and people lost weight. Learned lesson: Dietary fat restriction with added protein that does not limit calories enhances leptin sensitivity in the CNS and promotes weight loss without dieting. Both of these tests show similar results. If you reduce fat in your diet, whether you replace the fat with protein or carbohydrate does not matter. If you want to lose weight, the current research seems to show that it is best to eat a reduced fat diet without limiting calories. Eat healthy carbohydrates, lean protein, and stop eating when you are full. Eat healthy and lose weight! The dieting industry will not like this research!! !